The Cochin University of Science And Technology has released the notification regarding CUSAT CAT 2019. The CUSAT CAT Important Dates provides the exam related event dates like notification, last date of application form, exam, result & counselling. And, the CUSAT CAT 2019 Important Dates will also help the candidates to stay updated about exam events related dates. Also, Go through the article below to find the complete details about the important dates of CUSAT CAT 2019. First of all, the online registration is available from 30 January 2019. And, the interested applicants can apply with late fee till 28 February 2019. Further, the candidates can fill the form with a late fee of Rs. 100 from 1 March till 10 March 2019. 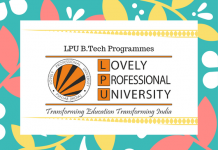 Also, the date for application fee payment is extended till 15 March for the registered candidates. The admit card of CUSAT Common Admission Test is available from 15 April to 30 April 2019. And, the CUSAT CAT 2019 exam date is 06 – 07 April 2019. Finally, the exam authority declares the Result. Further, a separate rank list for B.Tech Marine Engineering is also published on official website. The dates for counselling are announced by the university officials. 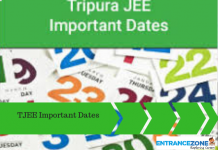 Candidates must keep the track of all the important dates related to the test. Stay informed about Entrancezone latest updates and feature articles on CUSAT CAT 2019 Important Dates. 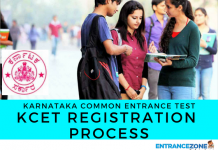 cusat engineering entrance exam 2019, cusat msc entrance 2019, cusat engineering entrance 2019, cusat msc entrance exam 2019, cusat cat 2019 registration, cusat application form 2019.